The Social Security provisions for America’s elderly are not guaranteed to remain at the present level indefinitely. With people living longer and fewer people contributing to the fund there are question marks about the future. The fund will need an injection of finance which seemingly can only come from raising taxation. Congress, with Republican majorities in both Houses, certainly appear reluctant to condone. Just recently there has been a proposed change to the legislation which potentially will result in less benefit because it has closed some anomalies and loopholes within the existing regulations. Certainly the System will benefit but that does not help those that are about to see their money reduced. People with financial expertise or those who have been using advisers have been able to take advantage of loopholes. One of a couple has been able to receive benefit while the other defers his or her claim until some time in the future, 70 at the latest. The deferred benefit continues to grow at 8% per annum. This strategy is about to be closed. Simplification itself means everyone will find the System easier to understand. Current estimates have been that by 2033 the System will be in real trouble with reductions of up to 25% in benefit. The System will have funds for longer than 2033 now. A determination to act which if it remains should keep the need to focus on the System in the public arena. It is worth remembering that it tended to be high income families who were able to use strategies to get the maximum benefit. They have been able to do so for just the last 15 years; no more. The Social Security System has provided everyone with money is retirement but it was never intended by provide enough for comfortable retirement. Individuals and couples need to make additional provisions for retirement and the earlier they start the better. The national figures of credit card debt in the USA suggest that many people are experiencing problems with money management which the recession certainly did not help. While the recession has receded and jobs are being created month by month, indications are that there are still many people with little or no savings, either in the form of an emergency fund or retirement fund. Employees should have a 401K and contribute to it each month; employers can match that contribution up to a maximum level. The earlier the start, the more that can be amassed come retirement, even if initially the contribution is just small. People now in the middle age are leaving it late; they should act now and spend some time looking at their overall finances, getting rid of any expensive debt such as that on credit cards where a high rate of interest is applied to any balance at the end of the month. It is far better to look at debt, and settle it all if possible by taking out a personal consolidation loan that is much cheaper in the long run. Online lenders have a quick and simple application process, done entirely online. Applicants need to provide bank account details and proof of a regular income to justify the amount being sought. The decision of whether to approve a application will come the same day with money transferred shortly afterwards direct into the relevant bank account. Clearly that money should then be used to clear the debts. There is no need to cut up credit cards as long as they are only used in the future for things that will be settled totally when the monthly statement comes in. Discipline is key to any financial strategy. Money that is saved as a result of that exercise can then be used positively towards the future and that does not mean a new automobile or the latest fashions. It is important to get into the habit of saving regularly because there will come a time when retirement looms. Comfortable retirement should be everyone’s aim and reward. 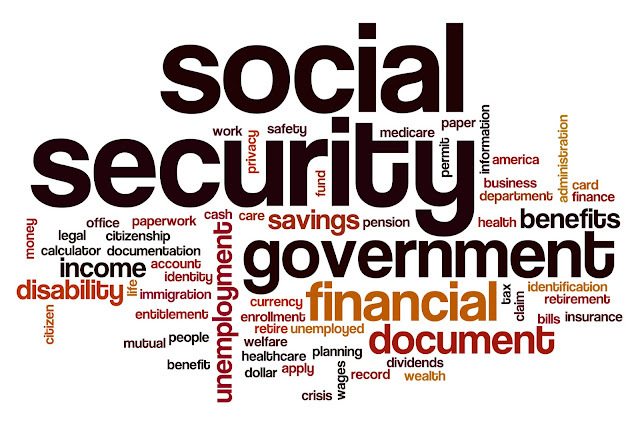 The Social Security System is a safety net but it is unlikely to be a big enough net.